Springtime is here in Carmel, IN and so is the spring home selling season! One of the best ways to show off your home to potential buyers is to have an open house. We’ve got you covered with the below 7-step guide to prepping for your Carmel, IN open house. Walk Through with your Real Estate Agent. Your Carmel, IN real estate agent is the first step in prepping for an open house. Your real estate agent will determine what you need to do, or address, to sell your home fast and for top dollar. They are trained to view a property with a buyer’s eyes and will look for all the little things that can turn off a buyer. Repair and Update. Prospective buyers won’t ignore even the smallest of problems in the house such as broken light switches and leaky faucets. Go through the list your real estate agent gave you and get those repairs done. If any updating was needed make sure to consider updating what you can so your home is in tip-top shape. De-clutter. One of the most important things you can do before putting your Carmel, IN home on the market is to de-clutter and de-personalize. Take your personality out of the home so buyers can envision themselves in your home. Stage your Home. 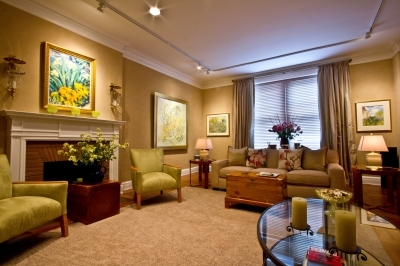 A big part of de-cluttering your home is staging it. You want to make your home look bigger, brighter, and more desirable. Curb Appeal. We’ve covered it before, because it is so very important. The front of your home is the first thing the buyers will see. It must look well maintained and cared for. Clean. Clean. Clean. Deep cleaning from top-to-bottom is necessary for any home sale prepping. Make sure not to forget items like light fixtures, heat vents and registers, and switch plates. Market your Open House. As Carmel, IN real estate agents we know how to reach the prospective buyers both online and off-line. Leave it to the professionals and we will make sure you get top traffic through your Open House. When you are ready to sell your Carmel, IN home look to an experienced Carmel, IN real estate agent. We are committed to providing you with the highest quality service. We hope to speak with you soon!